← Brown Trout Happy Birthday! You may recognize this smiling face from two postings ago. This morning was her second time tenkara fishing and as you can see, she improved considerably on her successful first outing! 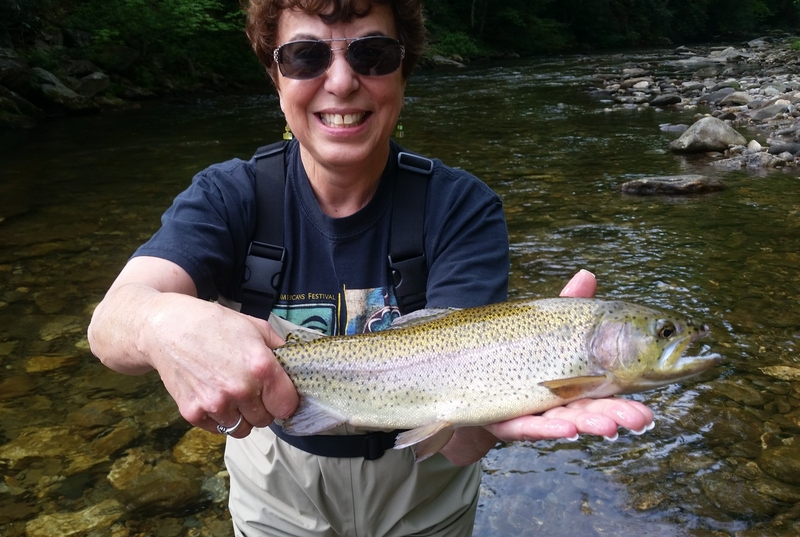 At Unreel Fly Fishing we appreciate every fish as a perfect version of itself. We love them large and small…but it’s still nice to catch a big one every now and then!